At a glance, Earth's polar regions seem like mirror images, located some 12,000 miles apart. Both are vast, icy regions covering opposite ends of the globe. Closer examination reveals differences as well as similarities. To the south, the continent of Antarctica is roughly the size of the United States and Mexico combined. It is depressed into the Earth's crust by a sheet of ice roughly 2 miles thick. NSF's Amundsen-Scott South Pole Station lies deep in the Antarctic interior, roughly 900 miles from the next nearest U.S. station, McMurdo, on Ross Island, near the Antarctic Coast. A few thousand scientists and support personnel, the continent's recent and only human inhabitants, live at a handful of research stations across the continent, of which the U.S. runs three, including Palmer Station. None live there permanently. To the north, the Arctic Circle defines the area surrounding the North Pole, a point in the middle of the Arctic Ocean. The region inside the Arctic Circle covers vast swathes of the northern reaches of Canada, Greenland, Scandinavia and Russia. 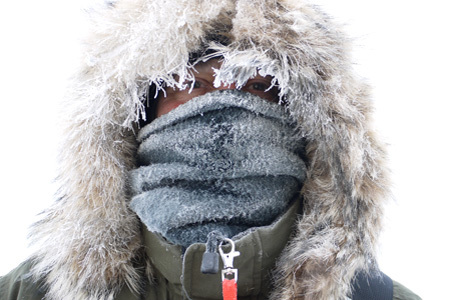 The Arctic is home to human populations of varied size and complexity. There, scientists have begun collaborating with indigenous people, who have lived and subsisted in the region for millennia, on observations of sea-ice thickness, animal populations and other natural factors to build a holistic view of the Arctic climate, past and present. Because the ice that covers the Arctic Ocean and the North Pole breaks up and re-forms with the seasons, much of the northern Arctic is inaccessible to most scientists for many months. NSF's Office of Polar Programs supports comprehensive research programs in both the Arctic and the Antarctic. The Antarctic, uniquely in the world, is a continent set aside by treaty purely for science. NSF has been designated by a Presidential Memorandum, subsequently affirmed in official documents, as the manager of the U.S. Antarctic Program, the nation's program of research in Antarctica. The Antarctic Program provides grants to scientists across the U.S. to carry out research on the continent and in the Southern Ocean; manages three year-round stations—McMurdo, Amundsen-Scott South Pole and Palmer—on the continent; and, in partnership with the U.S. military and private contractors, provides the logistical support that makes science possible in this harsh environment. Several of NSF's Long Term Ecological Research (LTER) sites are located in the polar regions, including the Palmer and Dry Valleys LTERs in the Antarctic and the Arctic and Beaufort Lagoon LTERs in Alaska. In the Arctic, OPP supports research carried out in Alaska, Greenland, Russia and in the seas off Alaska and the Arctic Ocean. 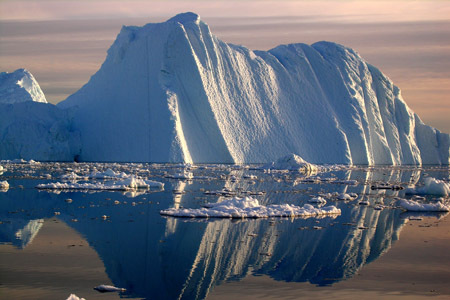 How is the climate at the Poles changing and what does that mean for the rest of the globe? What is the role of the Polar regions is regulating climate? As part of one of NSF's "10 Big Ideas for Future NSF Investments" --Navigating the New Arctic--OPP-funded researchers are helping to building a network of sensors across Alaska that includes new, cheaper technologies such as 3-D printed autonomous sensors in the ocean and atmosphere, allowing researchers to document changes in the Arctic land, sea and air. The warming Arctic and melting of sea ice and permafrost naturally raise environmental and human habitation concerns. This warming also opens up access to areas that were previously unreachable. What are the limits of life in extreme environments? Microbes may thrive at the South Pole; in huge, extremely salty lakes under glaciers; and in other places where extreme cold and months of darkness would seem to make life impossible. How do they survive? And what can we learn from these "extremophiles" that might provide wider biological insights?